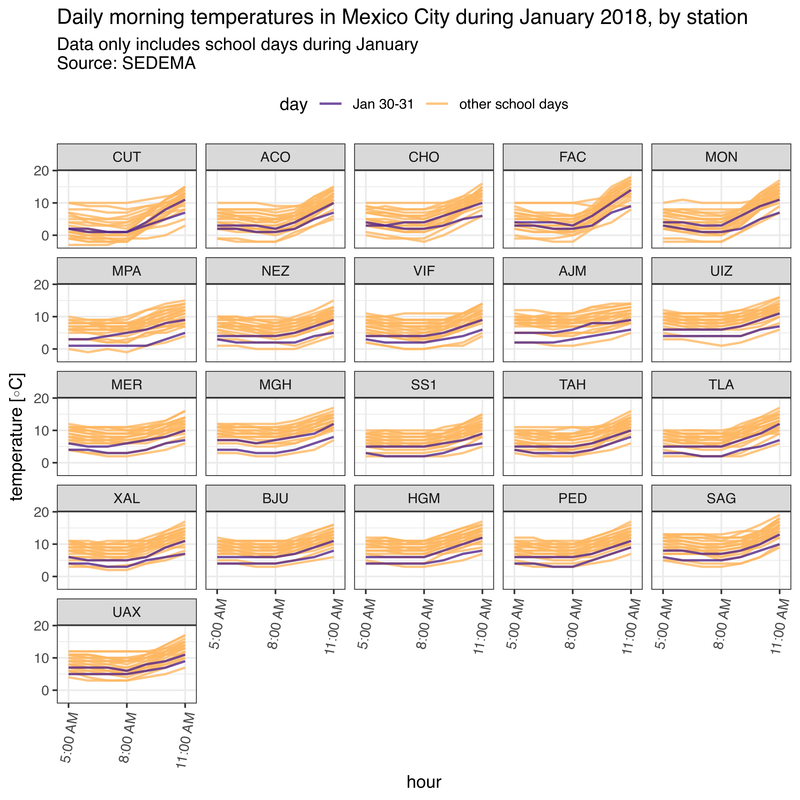 Because of low temperatures education authorities decided to suspend classes in public and private schools in some parts of Mexico City on Wednesday January 31, 2018. We will download and graph the daily morning hourly temperature and compare the days of January 30 and 31 with the rest of the month. We use the get_station_month_data function to download hourly temperature data for the month of January. After acquiring the data all that’s left to do is to clean the data. Note that since it is winter daylight saving time doesn’t apply. temp_morning$color <- "other school days"
temp_morning$color[which(temp_morning$date == "2018-01-30")] <- "Jan 30-31"
temp_morning$color[which(temp_morning$date == "2018-01-31")] <- "Jan 30-31"